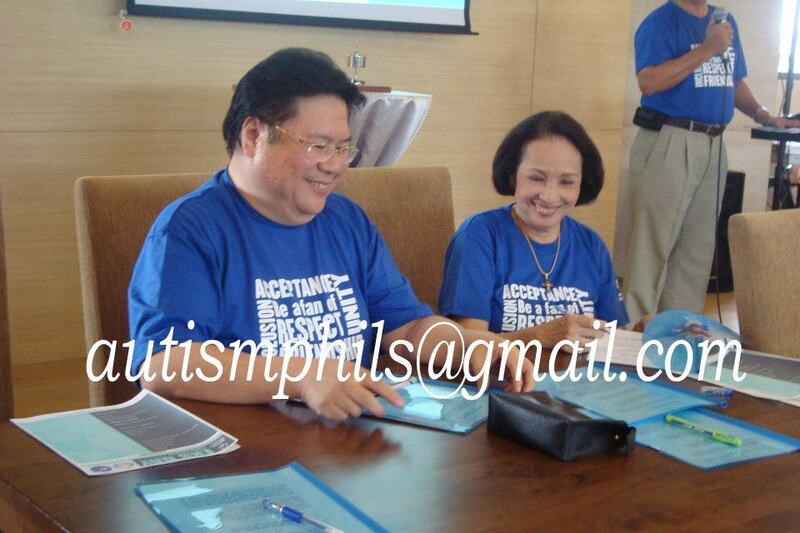 The Rotary Club of Diliman Heights recently launched their Signature Project aiming to advocate for all Persons with Intellectual Disabilities. It was as witnessed by the representatives from the different 94 Rotary Clubs of Rotary International District 3780, their children, officers and parents from ASP Diliman Chapterand Special Olympics Philippines (SOP). The event was held at the Rotary Center, Roces Avenue, Quezon City last September 2, 2011. The program was highlighted by the signing of a Memorandum of Agreement between SOP and Rotary International District 3780 where an information drive was launched to (1) educate people on what intellectual disability is all about; (2) promote respect for people with intellectual disabilities; (3) ask people to include people with intellectual disabilities in mainstream society; (4) accept the things that these people cannot do and identify the things that they can do differently. ASP Trustee, Ms. MariterJalandoni-Macapagal, who concurrently serves as the President of Special Olympics Philippines; and District 3780 Governor and Chairman of the Rotary Club League of Governors, Jess Cifra both represented their respective organizations in the signing. Special Olympian Dacki Sandiego, who also has autism, was given the floor to share his experiences as a person with special needs. Dacki, a member of the Special Olympics Philippines (SOP) Badminton Team, was sent on a special assignment to cover the Special Olympics World Winter Olympics 2009. He was among the 130 Youth Leaders who promoted Acceptance and Understanding of People with Disabilities. 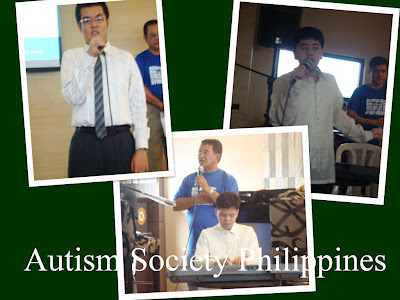 ASP Diliman Chapter kids also had their share in the program too, as Marcus Palomares played the National Anthem on the piano, Frederick Segui rendered the song “You Raised Me Up” for the Doxology and Drix Dacanay sang “You are My Sunshine” to the delight of all the Rotarians present. The invitation to the event was coursed through the ASP National Office, was sent by Mr. Jorge Cesar Sandiego, Silver President of Rotary Club Diliman Heights. For the event, Mr. Sandiego specifically requested children with autism to present their special talents to the supporters. Ms. Kaye Samson, head coach of Special Olympics Philippines, gave a Powerpoint Presentation about the impact of Acceptance and Respect of People with Intellectual disabilities. The said event was ended with short closing remarks by Mr. Lyndon Wong, the Charter President of the host club- the Rotary Club of Diliman Heights.